Have to assume Larry still keeps up with CBC program, right? -The Legend was in attendance, and where is his son going to high school? jr announced he will attend cbc earlier this year. he has grown a lot the last year and is starting to resemble his father longer sleek build more and more. Busy day today with recruiting. We offered Jackson Sivills, 6' 6" SF from Kentucky. Interest: Butler, Murray State, Eastern Kentucky. Scouting Report: Sivills is a stretch forward who scores inside and out with a great perimeter shot and is strong off the dribble. He rebounds well and sees the floor in transition. He's 6-6 and still growing. He's one of the top few 2020 prospects in Kentucky, and averaged 13 and 8 as a sophomore while leading McCracken County to a Region 1 title. He's playing a year up in AAU, running with the 17U Hoop Dreams (Indianapolis) squad on the Adidas circuit this year. His dad is the girls' team coach at MCHS and played basketball at Murray State. Recent tweets are saying he has a lot of interest right now, but I haven't been able to confirm what other schools are interested. He took an unofficial visit to Butler a couple months ago and has also been to EKU. Not sure where else. SLU is definitely his first offer, which is great because I think more are on the way, and it's another statement about SLU prioritizing Kentucky, and Western Kentucky in particular. -any idea on school size and competition versus Mickey's? McCracken County has about 1,900 students, compared to about 1,000 at John Hardin, Pearson's school. The 16 regions in Kentucky go roughly from west to east, so MCHS (basically in Paducah) is in Region 1, as one of the farthest schools to the west of the state. JHHS is in Region 5. Because Kentucky does not separate schools by class, each region has larger schools like MCHS going up against smaller schools like Fulton City and Fulton County (~200 to 400 students each). However, Kentucky schools do a pretty good job of getting around the state to play in tournaments so they see some competition from outside their regions. Overall, John Hardin is in a stronger region because the population - and schools - are larger overall. LaRue County, Adair County (Zion Harmon's school), and the Hardin County schools offer JHHS a better level of competition than MCHS is seeing. McCracken County and John Hardin both won their regions and lost in the first round of the KY State Tournament (Sweet 16), although JHHS was the favored team in its loss. So if the level of HS competition was a downside to anyone for Pearson, that's not going to be any better with Sivills. It should be noted that Sivills is playing for the Indy Hoop Dreams AAU program this season on the Adidas Gauntlet circuit, and he's playing a level up with the 17U squad, so he's going to see some strong competition this spring and summer. He's also the undisputed top dog going into next HS season, as the two other double-digit scoring players on his team graduate this spring. It's interesting that SLU looks to be prioritizing Kentucky. Personally, I'm a fan because the big hometown schools there (UK, UL) don't really seem to recruit in state. With us being nearby and Ford's roots there, I think it would be really cool if we could become the regional go-to school for overlooked Kentucky or Louisville area kids. Kentucky doesn't exactly always put out stellar HS recruiting classes, but here's a breakdown of Kentucky HS recruits going to UL or UK. 5 in the last 9 years doesn't seem like much. Between now and the end of July (and more specifically, whenever there's an evaluation period), we're going to see the 2020 offer list balloon like we did for the 2019 class. In that class, there were a number of offers to kids who were in town for the Nike EYBL event on campus, and we don't seem to be involved with many of them a year later. I tend to believe the 2020 offers as a whole are going to look more strategic in terms of areas we recruit heavily - this one is to a kid in Western Kentucky, and paired with the STL-centric list so far, that might be the case. I'm not sure we're going to do more cluster offers to AAU squads this time around. That seemed like more of a statement to show that SLU was in the game as opposed to guys we were planning to recruit sincerely. But yes, @Billikid, I would expect the Kentucky pipeline to be a strong one as long as Ford is at the helm. I really like the Kyky Tandy kid at University Heights. Now that we have 5 incoming freshmen, I have to think we're not going after Detorrion Ware anymore, unless he goes the prep route for a year and becomes a 2019 player. This has been my thought. Could be at least partially for McKinney, but since I don't think he's highly interested in SLU, I am guessing Ford's presence is primarily for the 2020 duo of Cam'Ron Fletcher and Kobe Clark. Kid picked a good picture. And he’s a red devil. @Pistol will enjoy this write up. 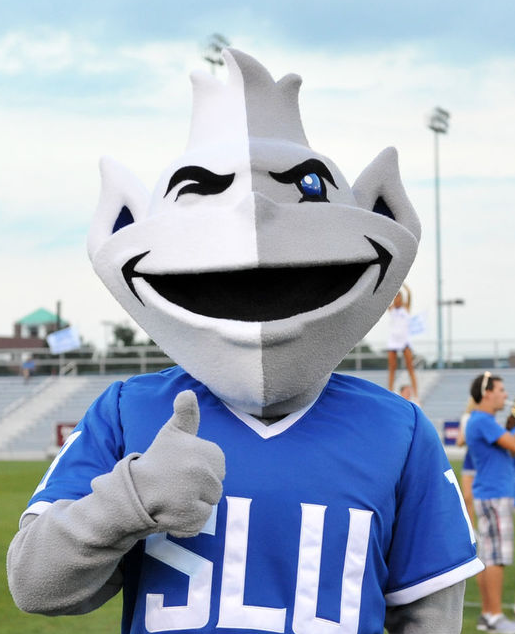 Do SLU fans even want him, considering he didn't spell out "Saint"? He’s Red Devil, so I am all in. Scouting Report: Kasubke is an elite perimeter shooter with good size and length. He moves well off the ball to find his shot, can score at the rim with either hand, find his teammates in space, handle the ball, and make the play the situation requires. He's outstanding shooting off the catch, but mixes in runners. He has a little bounce, too. He needs to develop more at the defensive end and could add a bit to his frame but has progressed considerably. Rankings: Future150 - 134. He goes to Chaminade, so we have to assume he's also an elite student and outstanding human being. i saw him a few times this winter and my immediate thought was "man he's skinny". but he doesnt play like a sophomore, no fear of shooting. the way he handled himself on the floor reminded me of highmark with the moxie and courage. he is only a rising junior, so he has a lot of time to develop and i'm open minded on this one. could be a great player imo. Agree on all counts. He's confident, has good experience for his age, and has a deceptively high athletic ability and wide-ranging skill set. It's easy to be lulled into thinking he's just a tall shooter and then he puts it on the deck and beats guys off the dribble, hits someone with a no-look pass, or something like that. I don't know that I'd call him skinny necessarily, but definitely on the slim side, even for a sophomore. I have no doubts he will be able to add to his frame over two years, though, and be a high-level D-I player. The real question to me is whether he adds another couple of inches to his frame, which could really boost his stock and profile. Similar game and body type to Kyle Cassity, with the potential to be a better shooter. Thats a compliment, by the way. kyle was thicker by the time he got to slu. luke is at least 3 inches if not 5 taller already then kyle. i will be surprised if he doesnt turn out better than kyle. and if you remember i was a huge kyle supporter. Wasn’t Kyle 6’3” or 6’4”? I could be misremembering. The main thing Kyle was lacking was a scorers mentality, which it seems like Kasubke has. Much better athlete than Highmark, has a chance to be special. Yeah, I would not call him skinny especially considering he is a sophomore in high school. The kid has that basketball build with that kind of broad shoulders on the thin frame, so he should be able to add considerable bulk to his frame and seeing the kids go thru that program there is little doubt he will do so. I have watched him quite a bit and thought he really developed throughout the season this past year to where you could see it really starting to click for him. Kid can really shoot the ball, but has an overall good feel for the game and nose for the ball. He was in a tough spot having to defend and rebound in the post on a guard heavy team, but he was willing to battle and fight for rebounds and to defend the rim despite that not being his natural position or I assume desired position. I really like the kid and am curious to see how he develops this summer and into next season, thrilled we are in early on him. When I first saw him as a freshman I thought he had some similar traits as David Lee when he was that age, but I know Dave grew really quickly from that point hitting a huge growth spurt. He is probably an underrated athlete, kind of a good natural athlete, but I think his game is probably better suited if he were more in that 6'7 range. If he doesn't grow much more, I still think he could be a nice player, but to me if he had more true forward size at the college level he could be really good. In the last few posts he's been compared to David Lee, Kyle Cassity and Scott Highmark. I'm thinking he's also got a little Kevin Lisch, Rob Loe, Elliot Welmer, Cody Ellis, Donnie Atkins, Thor, Chris Sloan and Luke Meyer in him too. Cassity was listed at 6-5, 185 as a HS senior, which is generous on his height. He was listed at 6-4, 200 as a college senior on Sports Reference and ESPN. That seems about right. Luke is listed (where updated) at 6-6, 180. He's definitely longer, too. And two years away from college, he could grow quite a bit still. He's already a superior shooter, and I like his all-around game and potential better. Unlike Roy, I was no Cassity fan, though. He struck me as a stretch. We needed him to be a much, much better shooter than he ended up being. @TheChosenOne has a good summary above of where I think he is and could go.